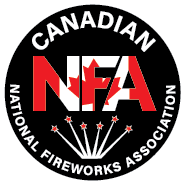 The CNFA (Canadian National Fireworks Association) was formed with a need to advocate on behalf of the fireworks industry to municipalities and federal government on create regulation that are effective and safe. Our national statistics prove that Fireworks, when used properly, are safe. There is a common misconception about Canadian fireworks versus our neighbours to the south, USA, who has different regulations and therefore statistics that are not fair for Canada. The CNFA is formed by its members, the Executive Director and Directors as well as industry technical consultants. Rod has been in the fireworks industry for over 30 years. Previously owning his own factory, Rod has firsthand experience with the development of fireworks. He has been a pioneer infusing the market with new, safe and exciting products. Rod works with the Federal Government and advocates for fair and reasonable regulations. He has established the CNFA to innovate the way the fireworks industry injects society with education, safety and of course reasonable access. It is with Rod’s vast knowledge and experience in this industry that has formed the strong foundation of the CNFA. Kelly Guille has been working in the Fireworks industry since 1993; ten years after his start in the business he bought all shares of Archangel Fireworks and became the sole owner. Kelly has led Archangel Fireworks Inc. to numerous Canadian and International wins, taking home top honors from various prestigious fireworks competitions. His expertise has also awarded him the chance to represent other major fireworks companies at shows and competitions around the world! As the Executive Director, Melanie acts as a voice for CNFA with government officials, regulators, fire prevention officers and others across the country. A trained public speaker, Melanie acts as a spokesperson for the industry in the media and at fireworks-related conferences and conventions. Additionally, she has published editorials in magazines including Alberta’s “The Responder” promoting fair and safe access to fireworks. Located in Vancouver, British Columbia, Melanie enjoys spending her spare time exploring the local dining scene and hiking with her dog Dallas.